The vast majority of angel investments don’t work out, but ones that do sure end up working out quite well. Ashish Gupta, who was the first angel investor in Flipkart, will have turned an initial investment of Rs. 10 lakh into a staggering Rs. 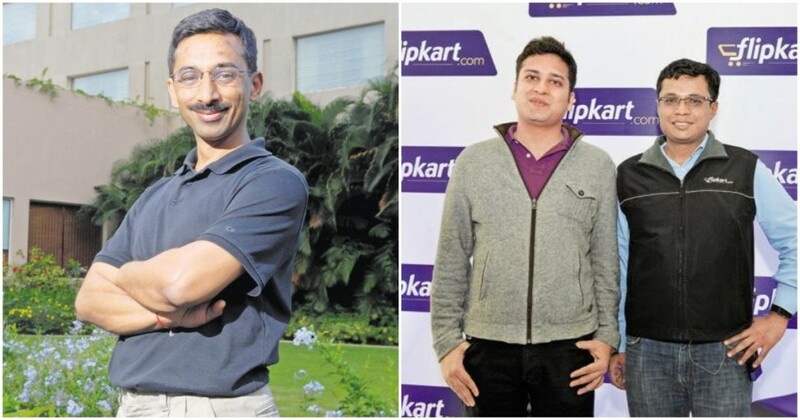 130 crore after Flipkart was acquired by Walmart this week, reports Hindustan Times. Gupta had written a cheque for Rs. 10 lakh for Sachin and Binny Bansal when they were raising their first round from Accel Partners in 2008. Ten years later, the investment has earned him a 130000% return, which translates into an astonishing annual return of 104% over the entire period. More amazingly, this isn’t the first time Gupta has hit gold with a startup investment. He’s reported to have made $50 million (Rs. 300 crore) from an early investment in Mu Sigma. He was also an investor in MakeMyTrip, and cashed in on his returns with the company’s IPO in 2010. Gupta had also invested in cloud computing platform Minjar which was bought by Nutanix this year, Merittrac, which was bought by Manipal in 2016, and IT services firm Daksh, which was acquired by IBM in 2004. Gupta’s golden touch with tech investing probably has something to do with the fact that he’s a successful entrepreneur himself — he’s one of the co-founders of Junglee, which had been acquired by Amazon for $240 million in 1998. Gupta, before becoming one of the most prominent members of the first wave of Indian entrepreneurs, was an academic, having completed a PhD from Stanford. He’d graduated with a degree in Computer Science from IIT Kanpur before moving to the US. And while Gupta clearly appears to have been the biggest beneficiary of Flipkart’s mega deal, other Flipkart investors haven’t done too badly either. Tiger Global has achieved a 3x return, turning the $1 billion it had invested into $3 billion; Naspers, another early investor, managed an average annual return of 32% as it turned a $616 million investment into $2.2 billion, and Softbank, in just six months, managed to sell its $2.5 billion stake for $4 billion. But none of these returns compare to those of Gupta’s, and probably with good reason — he’d backed Sachin and Binny Bansal when they’d been running an online bookstore out of a 2BHK in Koramangala. Now when they’re a $20 billion dollar giant, he’ll sit back and reap the rewards for placing his faith in a couple of young entrepreneurs from India who were trying to build their dream.